Happy Thanksgiving! In lieu of writing on a specific perfume today, I have decided to compile a list of my favorite fragrances. Needless to say, this is rather a snapshot of my current likes and a result of a painstaking task of trying to pick only ten fragrances. I left out probably ten times as many my most beloved fragrances as I ended up including. Nevertheless, here they are: my top five classical and top five modern favorites. Please share yours and do not feel constrained to make separate lists like I did! If the mood of a quiet snowy day were captured in a bottle, it would be redolent of Nuit de Noël, a fragrance that represents the beauty of rose and incense intertwined over a dark mossy base. Among Ernest Beaux’s compositions, Bois des Iles’s perfection stands out. It is a painting of gilded woods touched by the delicate spicy notes. Ripe fruit and green jasmine sustained by the elegant mossy base unfold into an airy and vibrant composition. Roudnitska’s more refined expression of the same theme that inspired Eau Sauvage. The delicate abstract sweetness paired with the dark, yet dewy jonquil makes this Jacques Guerlain composition among his most daring and innovative. The dark veil of Vol de Nuit was not an immediate love for me, yet it has turned into a long term passionate affair. I admit that I am breaking my own rules, however Bandit and Fracas are bound together in my mind, being the bold, unique creations of the first renowned female perfumer Germaine Cellier. Bandit is a darkness of leather juxtaposed with the scintillating green accord, while Fracas is a sensuality of tuberose underpinned by the dusky base of sandalwood. The stunning interpretation of ambergris, Eau des Merveilles presents its winey richness underscored by an alluring salty undercurrent. A vision of beach at dusk that does not resort to the marine notes in order to achieve the effect. Simultaneously rich and airy, Jean-Claude Ellena’s take on vetiver results in the gourmand abstraction of sugared hazelnuts folded into the earthy vetiver composition. The abstract dessert of caramelized blackberries dusted with sweet spices and layered with rose petals rests on the luminous woody base. An elegant and complex interpretation of the woods theme results in a very sensual and unusual composition. Maurice Roucel’s luminous iris that evokes walking in the early spring garden when the earth is still frozen, the tree branches are bare, yet the signs of nature coming into bloom are present. Serene and wistful impression of the rose petals floating on water. Marking a new phase in the perfumer Sophia Grojsman’s artistic vision, the composition captivates me with its ethereal quality. The newest composition by Olivia Giacobetti demonstrates her characteristic their marvelous precision combined with dream-like expression. Rum, saffron, bitter orange, black cumin, doum palm, smoked ebony, sugar cane, leather and red sandalwood are intertwined in a beautiful dark composition. Please see my review tomorrow. 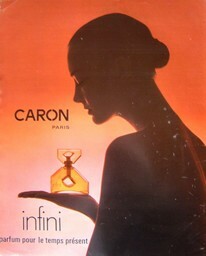 Advertisement: Caron Infini, 1975, which is one of my favorite perfume advertisements. From okadi.com. MC: Oh that new Olivia Giacobetti sounds good – I look forward to your review. You might be interested to know that the lovely Olivia Giacobetti-Artisan Parfumeur-Bottega Veneta number one candle has been released as a room spray – 40 euros for 50ml. I have yet to try it but I will report back to you when I do. A “skin” fragrance based on this scent would be ideal for me, though I am wary of spraying interior fragrances on my skin. Judith (lilybp): What a wonderful list! And to think I have a large sample of Eau de Meveilles lying around and haven’t tried it yet! Must do soon. And I can’t wait to read your review of the new Giacobetti. parislondres: Fantastic list there dear V! Happy Thanksgiving to you and your loved ones. Melodrama by Space NK (created by JCE) – very classic and gorgeous. Old scents: Nuit de Noel, too, Vol de Nuit, Cuir de Russie, l’Heure Bleue, Chanel no 5.
helg: Hi dear V ! Happy Thanksgiving ( although I know you’re not american). Victoria O: I have two of your faves on my list, having just recently discovered 100% Love. 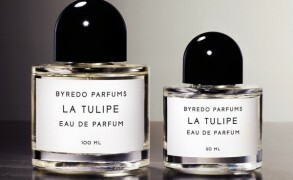 I tend to like more modern perfumers, with the exception of the Chanel and Guerlain. Thank you for your wonderful blog – Happy Thanksgiving! Pour terminer : le plus beau parfum qui soit pour moi le ” STYX ” de coty dont j’ai un flacon d’extrait vintage dans mon réfrigérateur . Marina: Dear all! Good evening Moscow time from a newcomer. Victoria, thank you so much for your blog, my favourite. And special thanks for your topics on ingredients, clever done! And others – not as a list, everyone – solo: Vent Vert, Chanel #22 & Cristalle, French Cancan, Shocking, Jayne Ormonde Frangipani and Ta’If, TDC Osmanthus and Bois d’Iris, IUNX #5, Mystere de Rochas, Terre de Bois, Fumerie Turque, and so on, so on, so on. Ayala: Glad to see Vol de Nuit and Nuit de Noel on your list, Victoria – I love both. My current favourites include (I will be separating the list to 8 of my own perfumes and 8 perfumes made by others). Mitsouko (Guerlain) – This is perfect! (I will be saying this about a few more perfumes to follow, but realy it is!). I love all concentrations and wear it in any situtation or season. 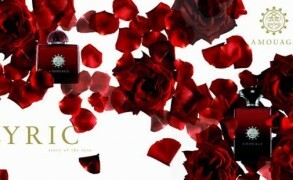 Parfum Sacre (Caron) – beautiful, one of the perfect perfumes. I reserve this to trulyfestive occasions. Vol de Nuit (Guerlain) – this is a perfect perfume by any measures, and also there is an interesting family history with this one – as it was my grandmother’s signature scent (and still is) for many years. She is quite the adventurous type, travelling the world still at the age of 82 (going on 83, but she doens’t count that until her very birthday day)! Philosykos (Dyptique) – reminds me of the figs in the summer back home. I love wearing this in the summer – and almost drink it – literally. Opium Fleur de Shanghai (YSL) – this is antoehr summer drink for me, though I love it anytime. It’s and excellent version of Opium – sweeter becuase f the magnolia, mandarin and vanilla, but also with nice oriental bitter undertones of myrrh and cloves. Private Collection (Estee Lauder) – the strange green note at the opening reminds me of my teen years, it’s identical to the first perfume I ever bougth nyself and that got discontinued. It’s beautiful and sublime, and realy strange and special perfume – I don’t wear it often though. Feuilles de Tabac (Miller Harris) – this is the most gorgeous leather scent I smelled in a long time, and it also reminds me of my grandfather for sone reason. It’s bold and masculine and warm and sensual all at once. I love to wear it also when its warm – but it’s great any time. Espionage – this is my signature perfume – a perfect, all natural musky vanilla scent that I wear in any situation or mood. It’s woody, slightly smoky and leathery, with a floral heart. I never regret putting it on – it always ends up being the right perfume to put on! Tamya – this is named after my daughter and captures the beautiful autumn day when I brought her back from the hospital. It portrays the golden sunlights before sunset, and the luscious fruits of the fall in the middle east. 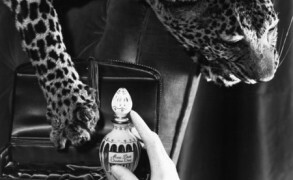 l’Herbe Rouge – My most favourite masculine scent and the one that my boyfriend always wears… It’s a captivating fougere. Ayalitta – my little green chypre. Megumi – a woody floral chypre – rose, jasmine and oud. Fetish – my citrus candy splash for the summer. It’s so yummy! Viola – violet soliflore, I am not big on soliflore but this is my favourite! BoisdeJasmin: Mike, I think that you might find it very interesting. It is the richest of Olivia’s creations. BoisdeJasmin: E, great list of top 11 🙂 ! The ones you took out (Chanel #19 , Musc Ravageur , Dzing!, Miss Dior) were the ones I agonized over taking out as well. Erick: Dear V, I always follow your blog and love your comments. Mercedes, you can find some Serge Lutens at Barfumeria in Madrid (915772854). I tried some last week, have fun. love your blog and the quality of your reviews, as well as the passion you have for all these wonderful scents. BoisdeJasmin: Evan, I only differentiated to have an even coverage of both, and I could easily come up with a top 20 list of each. 🙂 Top 5 in each category is just cruel. Frederic Malle Le Parfum de Therese… Oh, I love this fragrance, and it moves me very much. Stunning composition, in all respects. I very much enjoyed your list and your list of favourite ingredients. From your list, I have not tried Narcissus Poeticus absolute. The name alone is enough to interest me. My favourite ingredients would include the following. BoisdeJasmin: Victoria, wonderful list, with lots of very interesting choices. I am so glad to see more fans of 100% Love. I think that it is quite an interesting composition. BoisdeJasmin: Michel, thank you for sharing these fascinating lists! I should try Rochas Moustache, which I know was created by Edmond and Therese Roudnitska together. I am glad that you mentioned Iunx l’Ether, which is one of my favourite fragrances as well. BoisdeJasmin: Dear D, I love lists too, and yours is fascinating. I love the fact that you mentioned Dana Tabu, which I discovered recently. Such a fascinating composition. Thinking how many fragrances were inspired by its patchouli-carnation accord makes me realize its legendary status. The most beautiful scent in the world for me.It stops time and space and always makes me feel good. Perfect scent for men,very suave. The only chypre i adore,very spicy on me. Wonderful woody scent,fruity,warm,with a beautiful tubérose and animalistic notes. 5-FRACAS for i love Tubéreuse. 6-Eau des merveilles,wonderful on summer citrus/amber. Number 9 and 10 don’t even need to be expressed. I am trying to find the good MALLE for me and the good CARON too. Ayala: Even, what a wonderful list you got in fact, all of you have! It’s interesting to see how much we all have in common – even if we don’t have identical lists – we all love to make lists it seems! 1) Floral notes: Rose Otto, Tuberose Absolute, Jasmine Sambac and Grandiflorum (in all forms – Absolute, Concrete and Indian Attar), Boronia, Orange Blossom, Hyacinth Absolute, Orris Root, Gardenia Absolute. 2) Base notes: Costus, Ambrette, Labdanum, Vanilla, Oakmoss, Fir Absolute, Tonka Bean, Hay Absolute, Oudh, Spikenard, Aged Patchouli, Atlas Cedarwood, Vetiver. 3) Spicey notes: Cardamom, Cinnamon, Cloves Absolute, Coriander, Saffron, Pink Pepper. 4) Citrus: Yuzu, Grapefruit, Clementine, Tangerine, Lemon Verbena, Litsea Cubeba. Ayala: Victoria, I am enjoying reading all the lists. You all now remind me of all the bauties I had to leave out! – Ta’if was a hard one, and so was Saffron by Artemisia Perfumes; Miss Dior; No. 5; Tocade (my favourite Maurice Roucel…); Femme; Shalimar… So much beauty one wishes to have more than one nose in a lifetime! I chose the ones that were most meaningful for me and also some that I wear often (and will probably mean more when I “grow up” a bit nore). mreenymo: Darling, this is a great list! So many people complain about Fracas, so it is refreshing to see it on your top ten. However, I am so fickle, I could not possibly whittle my list down to five classics and five moderns. But, I will tell you one thing: Shalimar would be on the Classics list! julien: Oh my dear,i really hope you will enjoy Opium for men. If you like amber,you should love it. Please,just tell me about it. By the way,i love lists. BoisdeJasmin: R, thank you! 🙂 I just love everything about Fracas. Recently, I had a chance to test the vintage edition, which is stunning. However, the modern version respects the tradition, and I have no complaints with it. BoisdeJasmin: Julien, I will definitely let you know. It sounds like something I would like, especially because I like amber. Tania: I was just wondering what your cutoff was, since you did split them. Have no idea how you managed to pare down — five each is painfully difficult. julien: As i read all your lists,i figure it out that MITSOUKO is so well loved. That’s so amazing because only a few people wear it,at least in FRANCE. BoisdeJasmin: T, the only reason I decided to impose the split upon myself is that I would be tempted to make my list of ten most influential fragrances from my collection of favourites, and most of those would of course be classics as one would expect (L’Origan, Mitsouko, L’Heure Bleue, Caron Nuit de Noel, Chanel Cuir de Russie, Bois des Iles, No.5, No.19, etc.–and I happen to like them very much.) Therefore, I made two list to feature all generations of fragrances equally. In a certain way,this perfume is not very guerlain in its composition but it is one of the most beautiful,cold,distant chypre i have smelled. A kind of jewel you wear for your own pleasure,not seductive or attractive but very present..it says:I AM PROUD TO BE MYSELF. That’s what i feel when i wear it. linda: These lists are sooooo difficult for me to make, but here you go. julien: So,did tou try Opium for men already? This is a very beautiful amber spicy balsamic and some gourmand fragrance. Don’t you think it is even more feminine than the true Opium for women? I mean,the real opium is in a certain facet agressive,what Opium for men in edp is not. In a far perception,it recalls me the dead BALENCIAGA for men,which i loved(unfortunately it is discontinued…as my sorrow goes bigger every year because i will never be able to smell it again)exactly for the very gourmand and spicy notes it had. cathleen56: How wonderful to see Diorella on someone else’s list besides mine! I think this is one of the most wonderful fragrances ever designed, and it was a bottle of Diorella, recently acquired, that got me over an almost 20-year perfume hiatus. BoisdeJasmin: J, yes, it is sweeter, so not particularly masculine, in a conventional sense. This is what I like about it. BoisdeJasmin: Cathleen, Diorella is a beauty! I do not see it mentioned often, however it deserves as much praise as possible. It is a fragrance (along with Parure) that helped me discover that I love chypre genre. Rita: I would like to contemplate my favourites, so here goes:(Top of the list is any pure rose oil! )These fragrances illuminate the start of any day for me. ruxandra: it is not easy to make such a list!